What does off-piste skiing mean? This blog article aims to throw some light onto what off-piste skiing means, for those who don’t know, the potential dangers and why we do it. Off-piste skiing means to descend any slope that is not marked by piste or trail marker poles and has not been prepared by piste grooming machines, which generaly will smooth-off the surface of the snow on a prepared ski piste. So off-piste slopes are unprepared, unmarked and not always patrolled. Ski pistes, or prepared ski slopes, have poles on each side marking the edge of pistes, and are patrolled by the local ski patrol. Pistes are generally groomed each night by grooming machines which prepare the snow for skiers the next day. This makes the skiing easier than if the snow had been left in it’s natural condition. Skiing on these kind of slopes is called on-piste skiing. 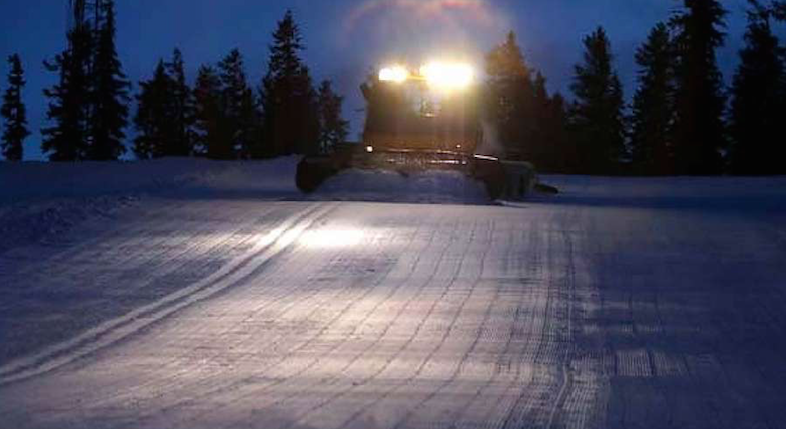 The image below shows a piste grooming machine in action. Is off-piste skiing more dangerous? Off-piste skiing can be more dangerous than skiing on the pistes. This is due to a number of factors. It’s highly recommended to book a fully qualified instructor/guide when skiing off-piste. Below are the most common dangers in off-piste skiing. Avalanches – An off-piste skiers worst nightmare is to be caught in an avalanche. This is sometimes fatal. Every year throughout the world, some skiers sadly, lose their lives in avalanches. Avalanches can often be avoided by using and respecting a number of risk assessment skills that should be used in off piste safety travel. It can take many years of off-piste skiing experience to develop these essential safety skills. This is why it’s important to ski with a fully qualified mountain professional when off-piste skiing. Fully qualified ski instructors and mountain guides are trained and assessed in all aspects for off-piste safety, avalanche awareness and navigation. 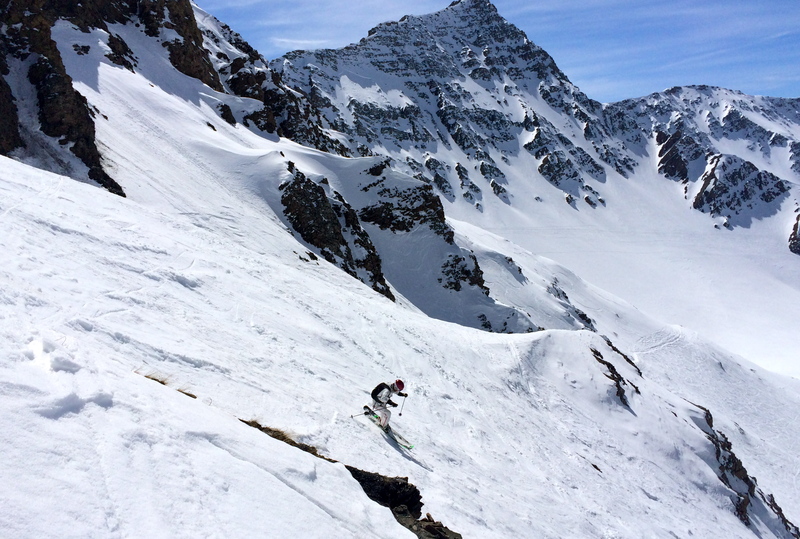 Cliffs, rocks and obstacles – There are many more potential dangers when skiing off-piste compared to skiing on-piste. For example, you never see a cliff half way down a patrolled piste, where-as some off-piste slopes have cliffs or other dangerous obstacles. Every year, some skiers are rescued from mountain sides by helicopters because they went the wrong way skiing off-piste and ended up at the top of a cliff with no way out. This is mainly due to a lack in awareness of the potential dangers of off-piste skiing. Or it could be a genuine mistake. Just relying on following other skiers tracks is generally a bad idea, as who knows where they end up. There can also be rocks, trees and sudden terrain changes to navigate when skiing off-piste. Remote off-piste mountain areas – Skiing off-piste often takes skiers into more remote parts of the mountains, where it can become more difficult to be rescued should there be an injury or a problem. It can take mountain rescue longer to get to accidents off-piste than it would on-piste. The extra time this can take could lead to more serious implications. With all the dangers involved in off-piste skiing you might be thinking — what’s the point? Well, off-piste skiing is not always so dangerous and it’s so much fun when the conditions are good! In fact, statistically speaking, most skiing accidents happen on-piste in the form of collisions. So, we could say that sometimes it’s statistically safer to ski off-piste than on the busy pistes, assuming we are aware of where we are going, the avalanche risk and keeping mountain safety and awareness in mind. The snowpack stability for avalanche risk changes a lot due to weather factors and time. Sometimes, certain slopes should be avoided and other times they can be a lot safer. For example: Lets imagine there is a big fall of new snow, which then becomes largley unstable due to a rise in temperature. If the air gets too warm, the snow can more easily avalanche down hill sides that are steep enough due to the snow warming up and becoming moist and heavy. In this situation, off-piste skiers should avoid skiing steeper slopes, and only ski slopes with less gradient (below 30°) where the risk of triggering an avalanche is much lower. Off piste skiers should also always be aware of steeper slopes that might be above them that could slide down onto them. Now, lets imagine there is a big freeze the next night followed by some new snow and much colder temperatures. As the snow had been warm and saturated with moisture the day before, the freezing temperatures have now frozen the moisture within the snow pack layers and created much stronger bonding and stability. This kind of change in weather can cause the avalanche risk to quickly decrease. If enough snowpack stability is reached, the same off-piste slopes that were dangerous the day before, can become much less dangerous the next day. This is just one typical example of a change in weather affecting the snowpack stability. Off-piste skiing safety is about developing lots of awareness of the changing snow and weather conditions and using calculated timing and risk assessment to understand when and where the dangers for off-piste skiing are. This is something that only experienced and professional off-piste skiers can do with relative confidence. I say relative confidence because even the most experienced off-piste skiers can make mistakes. Also, we know the mountains are to some extent unpredictable, like mother nature in general, there is always some uncertainty. All we can do is use all the clues we can find to assess the avalanche risk and then ski slopes accordingly. The International risk scale for avalanches starts at 1 for the lowest risk factors and goes upto 5 for the highest risk factors. There’s no such thing as 0 risk on this scale. 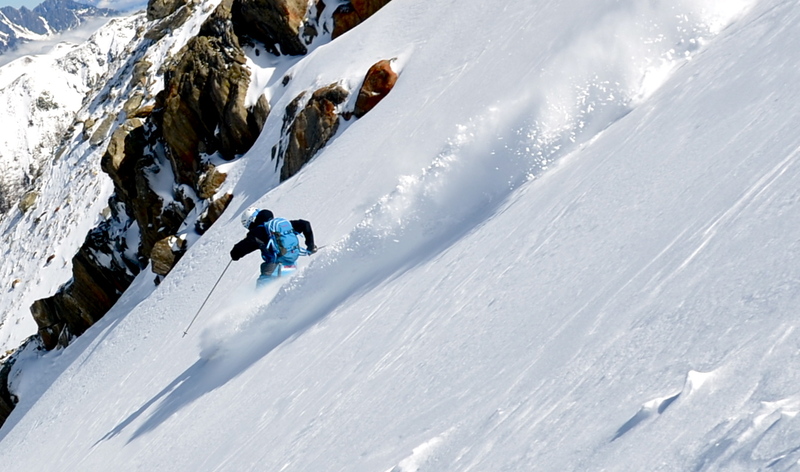 Off-piste skiing provides a fantastic feeling of freedom… The purest form of skiing. Off-piste skiing in untouched powder snow does provide a fantastic feeling of freedom. You get to put your signature on the mountain with your tracks and experience the purest form of skiing without the restrictions and preparation of the groomed pistes. In the right snow conditions, off-piste skiing is without a doubt more exciting than skiing on the groomed slopes. Sensible risk assessment is crucial. Booking a fully qualified ski instructor or guide is recommended unless very experienced in off-piste skiing. Other terms used for off-piste skiing. The following terms are also sometimes used to describe off-piste skiing. 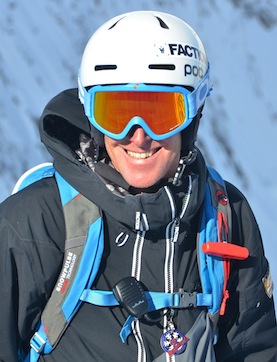 Article by Mark Gear Off-piste ski instructor in Chamonix, France. 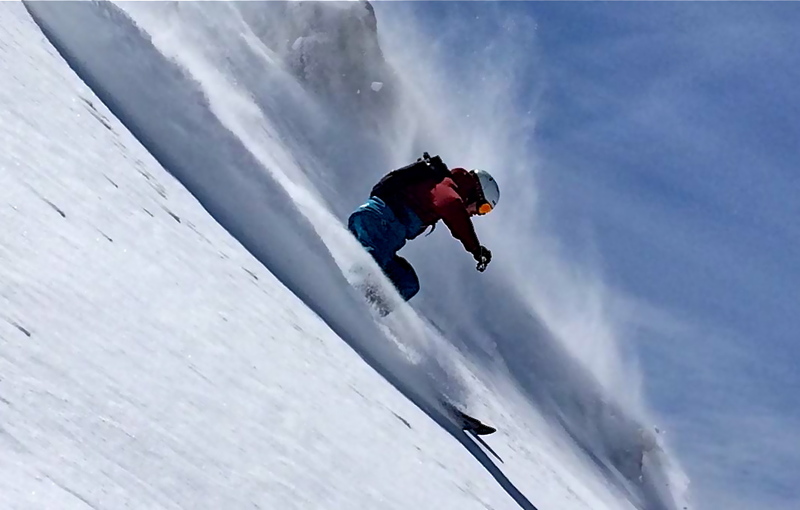 Read more about off-piste ski courses with Mark.